Meg Wills, horse-trainer, trail challenge competitor and recognized judge provides her comments and thoughts about the American Horsemen Challenge obstacle course competitions and the National Finals. See below. The mission of the AHCA is to promote horsemanship and sportsmanship at its highest level, while providing an arena of camaraderie within a competitive obstacle course setting. Its purpose is to instill public awareness and respect for the horse while members strive to improve their horsemanship skills. All competitions will be conducted with the highest level of integrity. Another question I have heard is along the lines of I have never done anything like this or my horse and/or I are inexperienced. My answer to that is there is a division for all riders and horses, no matter what level you happen to be. The Wrangler division is for riders 12 and under, while the Youth division goes up to 18. There is an English division as well as Novice, Amateur, Legends (those over 55), and the Open division. I encourage new riders to talk with the hosts & other exhibitors as well as look at the courses when trying to decide in what division(s) to compete. I have yet to meet any member who is not willing to help any and all of the competitors. We will even call out the pattern for you, if you need help remembering it. All affiliates holding AHCA sanctioned events are required to pay back 50% of the entry fees in money or prizes in the case of the Wrangler & Novice divisions. What are the judges looking for? First of all, they want to see a nice team completing obstacles to the best of that particular teams ability. In other words, they would like to see good horsemanship: smooth transitions, correct leads, bending properly and round circles. Slower with proper technique is better than faster and sloppy. Horsemanship and Safety are of the utmost importance. Ultimately, speed with proper technique is the final goal. Keep in mind this takes practice, patience, and time. Most horses and riders will not start here, but all of them can end up here. What if I ride a gaited horse? All of the AHCA judges are required to pass a written test with a 90%. This test has several questions pertaining to gaited horses as well as English horses. They strive to have judges that are well rounded in a variety of equine disciplines and breeds. After having the opportunity to ride at the AHCA National Finals this year, I thought I would write my reflections on my experience during the finals. First, I will mention that my thoughts come from not only a competitor’s view, but that of a judge and trainer of several different breeds and a variety of disciplines. Having touched on my perspective as a rider on a relatively inexperienced, reactive obstacle horse, I now want to touch on the purpose of the obstacles during any AHCA challenge & some of the obstacles in the final round specifically. First, I was siting in the bleachers after I rode the English course and before I rode the Open course, when a lady from Idaho began talking to me. She and her husband were there to watch a competitor and visit a part of the country new to them. She said that she could see a purpose to all of the obstacles and how they simulated something a horse and rider could actually encounter or need to do in a ranch situation, as they owned a working one. However, the only obstacle she couldn’t “figure out was the pedestal, unless it was to just make the horse pay attention and listen”. I agreed and said often times the horses like to get in a hurry and rush doing something and this obstacle asks them to stop and wait on the rider. Some of the newer obstacles simulated walking on the side of a hill, working around various animals, going down a trail or across a field and stepping on or hitting a branch that swings up at either your horse or the horse behind you. All of this has happened to a horse and me at one time during the many miles I have ridden out in this great country of ours. I feel one of the great things about AHCA is the variety of circumstances we use in each one of our courses. I do want to mention that if there is an obstacle you feel that you and/or your horse are not ready for, you will not be disqualified for going around it. For more information: www.americanhorsemenchallenge.com or 810-730-0682or on Facebook. Or for information on your local affiliate or events: www.horsemenofarkansas.org or Meg Wills 501-940-2259. 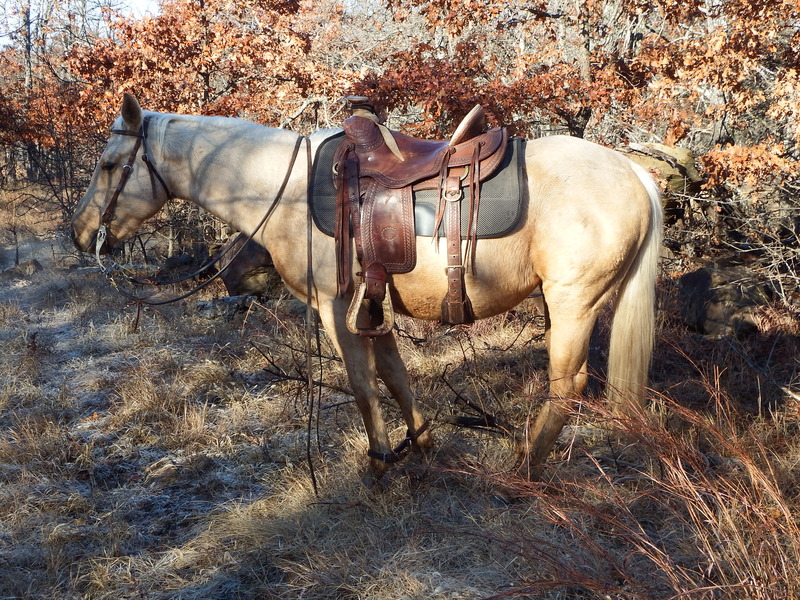 The National Convention for the North American Trail Ride Conference (“NATRC”) will be held in Oklahoma City this year, February 20 – 23, 2014. The Friday and Saturday sessions are filled with recognized speakers in the equine industry ready to discuss issues important to trail riders. The key-note speaker, Nancy Loving, DVM will discuss topics including colic, evaluating the equine athlete, and how to deal with equine emergencies. Both members and non-members are welcome. You can register at the NATRC website. For more details, contact krishapgood@gmail.com. 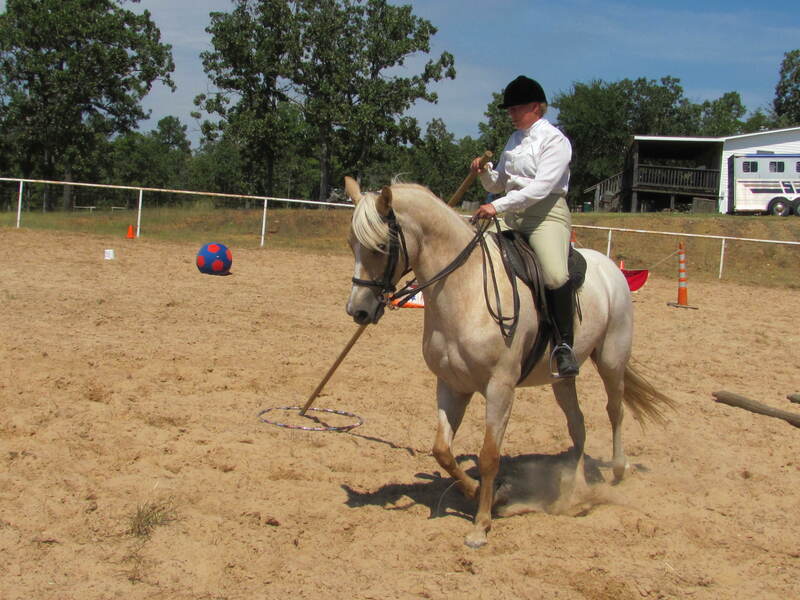 As we keep saying, there are lots of “experts” out there when it comes to horse training. If you aren’t a horse trainer, it can be a little hard to distinguish a real expert from a vocal, big talking amateur. If you aren’t familiar with horses, then how can you know? Here’s a really simple, easy way to see whether a “horse trainer” knows their stuff. Take a good look at their children. Kids don’t lie. Well-behaved kids are the product of love, respect, and discipline. Not present-day society’s gooey love, but genuine concern over the welfare of a child by a parent who demands respect and obedience. Does the expert have the kind of children that none of us care to be around? You know the ones! If so, we’ll bet all the big talk is just hot air. We have never seen a reputable horseman whose children (and dogs) didn’t mind. A genuine horseman understands respect is essential and demands it. This shouldn’t suggest they are mean-spirited, but they also don’t put up with nonsense. You may not be able to accurately evaluate and judge horses, but all of us recognize poorly behaving children. You don’t have to know anything about horses to distinguish a real life, honest to goodness horse trainer from a “blow hard”! We keep reading blogs and articles written by “horse trainers” who are clueless about how to train a horse. Recently, we saw a post by a young woman who writes a blog and offers “training advice”. She even requests people to contact her with issues with their horse so she can help solve them (won’t embarrass her by linking to the post). She relates a story about being pregnant and calling a farrier out to trim her mare’s feet. The mare wouldn’t pick up her feet for the farrier and “didn’t like him”. Bottom line, the woman trims the mare’s feet while someone else holds a feed bucket. News Alert: Holding a bucket full of feed so you can trim your horse’s feet is a work around solution, not training. Training is teaching, instructing, correcting, and giving discipline. It is not finding “work around solutions” to the problem. Average everyday riders often find suitable ways to “work around” their specific problem. Nothing wrong with a self-help answer to get the job done, but it just shouldn’t be confused with “training”. The key difference between training and simply getting the job done is “training” teaches the horse a task or activity. Other solutions like using a feed bucket to trim your horses feet are just a crutch. The horse doesn’t learn anything except how to eat! You are currently browsing the horsesfortrail blog archives for February, 2014.